Gran Melia Victoria 5-star hotel This property has agreed to be part of our Preferred Property programme which groups together properties that stand out thanks to their excellent service and quality/price ratio with competitive prices. Participation in the programme requires meeting a specific set of criteria and takes into account feedback from previous guests. 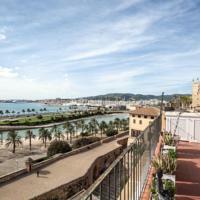 Gran Meliá Victoria has an ideal location in central Palma, offering views of its marina, just 100 metres away. This hotel features parking and indoor and outdoor swimming pools. 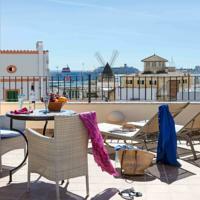 Situated in Palma de Mallorca, StayCatalina Boutique Hotel-Apartments is 500 metres from Palma Yacht Club. Palma Port is 900 metres away. Free WiFi is featured throughout the property.